Hubert Candelario is one of the few potters working at San Felipe Pueblo. 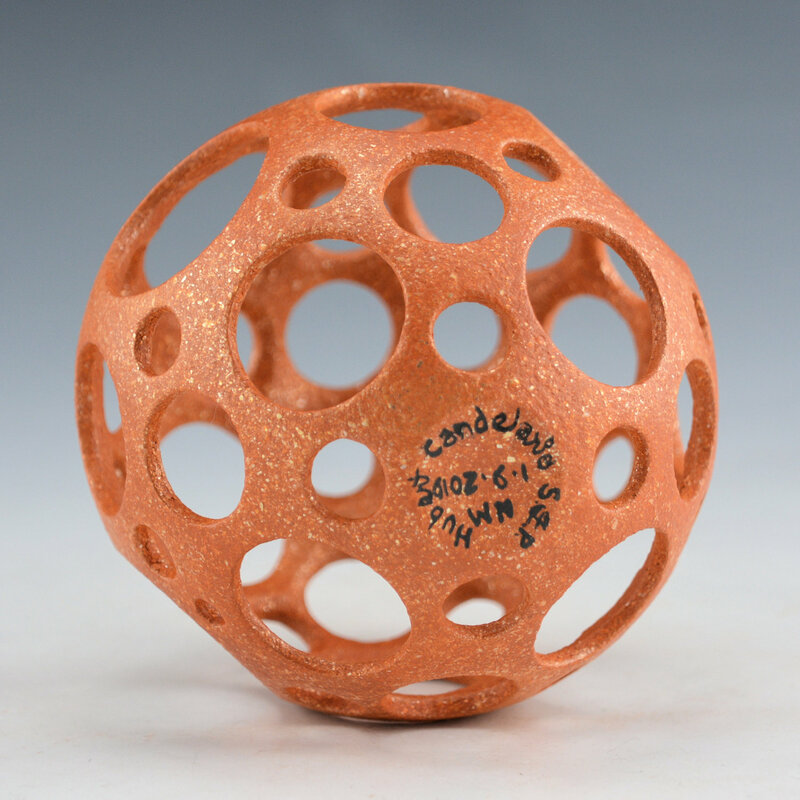 He has been known for his micaceous pottery for over thirty years. 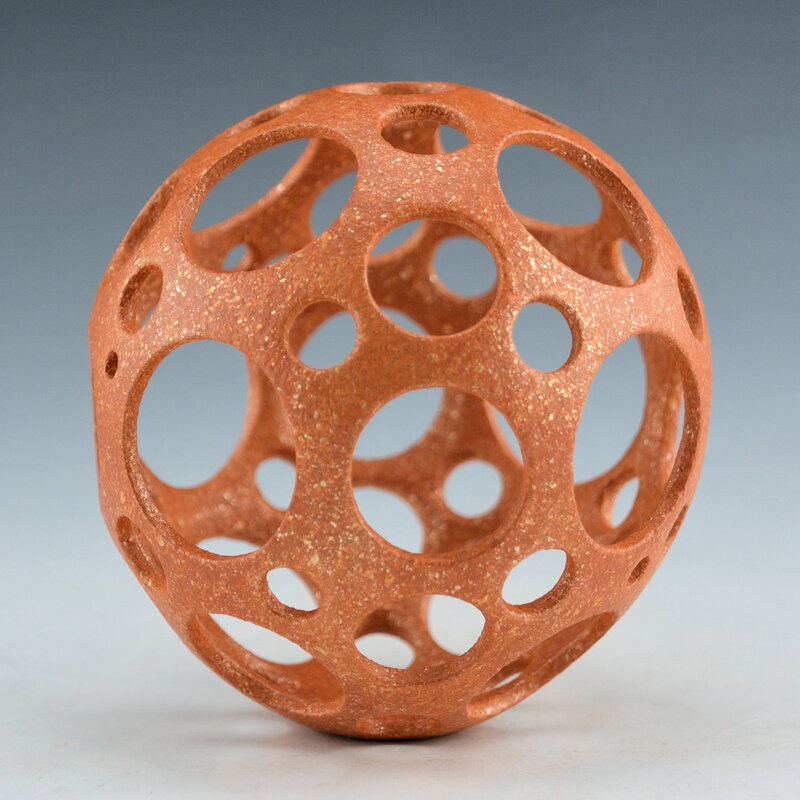 This piece has 44 holes cut into the clay before the piece is fired. The holes all vary in size and add to both the complexity and intricacy of the piece. 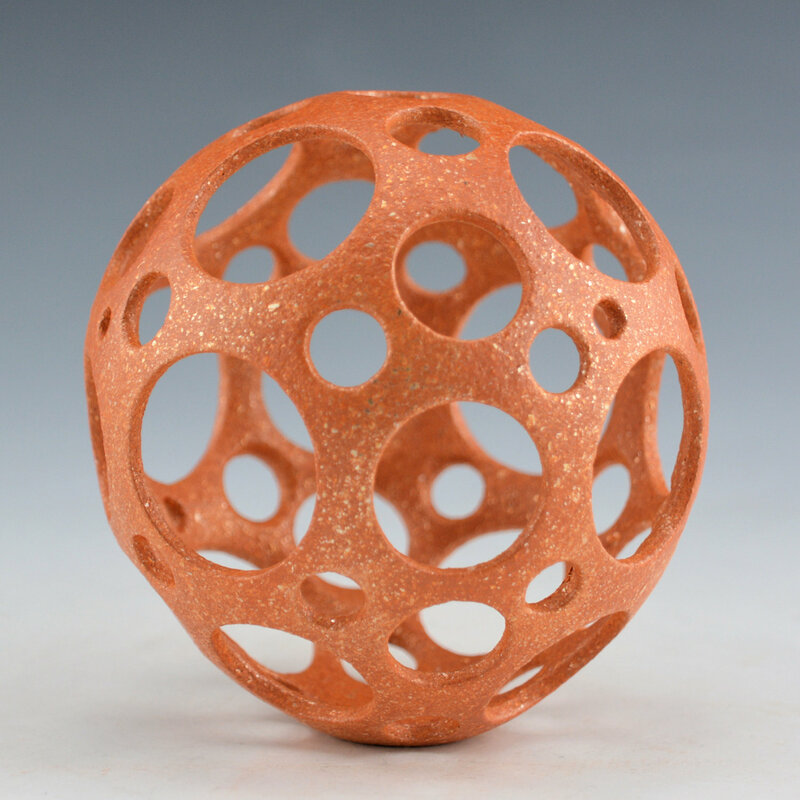 It is always interesting with such an open lattice style or clay work that his pieces always feel so structurally sound. 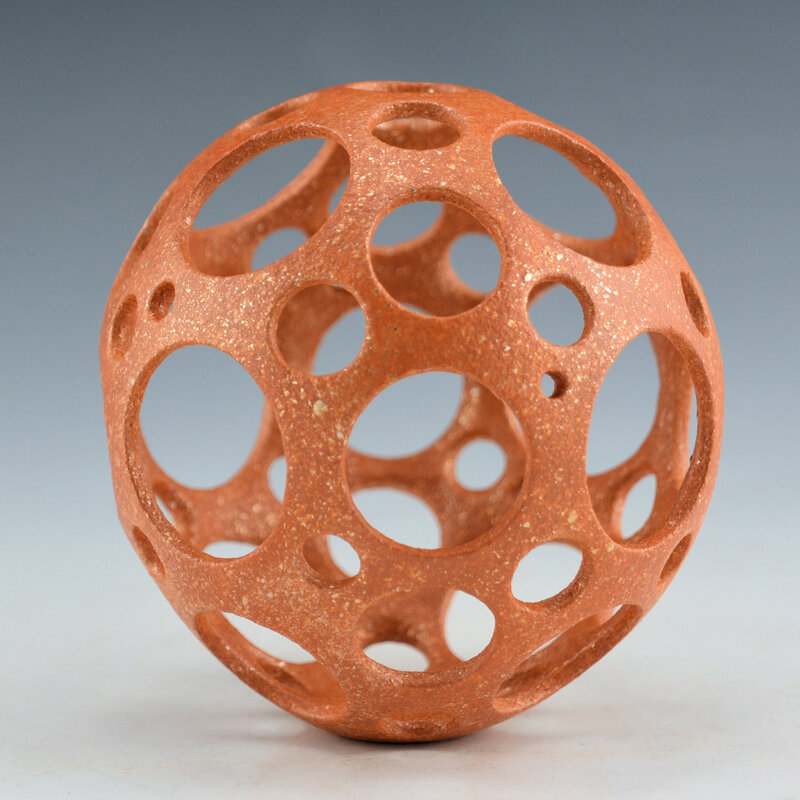 The piece is slipped 3 to 4 times with a micaceous clay before it is fired. This gives the piece such a deep coloration. It is signed on the bottom, “Hubert Candelario”.